Are you the type of person interested in protecting others? Do you enjoy confronting new and difficult challenges each day? If so, a job in the criminal justice field may be for you. Many police departments across the country are in the process of expanding. The criminal justice field offers many different opportunities for potential candidates at the city, county, state and federal levels. With the public's heightened interest in criminal justice careers, it is important that you set yourself apart with a degree from a law enforcement education program. Working as a police officer is a difficult job, but if you are up for the challenge, it is also an incredibly rewarding career field. 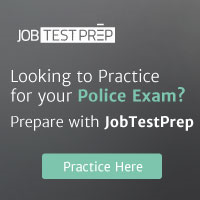 Jobs in the criminal justice field vary depending on the officer's working location. At the city level, an officer is responsible for enforcing the law within the city limits. An officer at the county level is responsible for the entire county, while state and federal officers may be expected to travel in order to cover their areas. The crimes are often similar, so police departments from each level of the government work together in order to solve them. Sometimes police departments have specialized units, such as SWAT, narcotics and homicide. Departments at the federal level are more often specialized. For example, at the federal level, the Bureau of Alcohol, Tobacco, Firearms and Explosives specializes in crimes around the country involving these issues. Click here to access over 5,000 police department websites. Click here for a listing of federal, state and local law enforcement salaries.